RIDGEFIELD, Conn. and INDIANAPOLIS, Nov. 5, 2018 /PRNewswire/ -- Initial results from the real-world EMPagliflozin compaRative effectIveness and SafEty (EMPRISE) study showed Jardiance® was associated with a 44 percent relative risk reduction in hospitalization for heart failure (HHF) compared with dipeptidyl peptidase-4 (DPP-4) inhibitors in routine clinical practice in the U.S. The EMPRISE analysis of data from approximately 35,000 people with type 2 diabetes between August 2014 and September 2016 will be presented at the American Heart Association ® (AHA) Scientific Sessions 2018 in Chicago, Boehringer Ingelheim and Eli Lilly and Company (NYSE: LLY) announced. These results support findings from the EMPA-REG OUTCOME® trial, which showed a 35 percent relative risk reduction in HHF (a secondary endpoint) with Jardiance compared with placebo, when added to standard of care, in people with type 2 diabetes and established cardiovascular disease. "With more than a million hospital admissions for heart failure in the U.S. every year, it's important to understand whether the relative risk reduction in hospitalization for heart failure seen in the EMPA-REG OUTCOME trial translates into routine clinical care," said Elisabetta Patorno, M.D., DrPH, Division of Pharmacoepidemiology and Pharmacoeconomics, Brigham and Women's Hospital and assistant professor of medicine, Harvard Medical School, and study co-investigator. "These first results from the EMPRISE study show that empagliflozin is associated with a reduction in hospitalization for heart failure, and the effect is consistent in people with type 2 diabetes with and without history of cardiovascular disease." The full EMPRISE real-world evidence study will provide a clinical picture of Jardiance in routine clinical care including comparative effectiveness, safety and healthcare resource utilization and cost outcomes compared with commonly used DPP-4 inhibitors between 2014 and 2019. Early findings from EMPRISE, which at completion will assess the first five years of Jardiance use in the U.S. through 2019, represent data collected between August 2014 and September 2016. The effectiveness findings will be updated as more data are gathered. Safety data from EMPRISE are not yet available and will be presented at a future time. EMPRISE was initiated, and is being led, by academic partners from the Division of Pharmacoepidemiology at Brigham and Women's Hospital and Harvard Medical School. The study is part of an academic collaboration between Brigham and Women's Hospital and Boehringer Ingelheim. 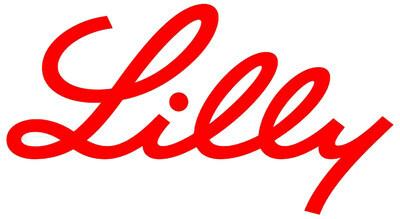 "Boehringer Ingelheim and Lilly are committed to helping to reduce the burden of cardiovascular disease in people with type 2 diabetes," said Thomas Seck, M.D., senior vice president, Medicine and Regulatory Affairs, Boehringer Ingelheim Pharmaceuticals, Inc. "These real-world analyses build upon the clinical findings from the landmark EMPA-REG OUTCOME trial that have paved the way for further research of Jardiance in heart failure, including our ongoing studies." By study completion, EMPRISE is expected to have analyzed health records of more than 200,000 people with type 2 diabetes from two commercial U.S. healthcare providers and Medicare. Further results from EMPRISE will be presented in 2019. "The Boehringer Ingelheim and Lilly Diabetes Alliance is committed to building a comprehensive clinical picture of Jardiance across the cardiovascular risk continuum in type 2 diabetes," stated Sherry Martin, M.D., vice president, Medical Affairs, Lilly Diabetes. "Physicians need better options to help their patients avoid hospitalization for heart failure, and we are encouraged that these findings from EMPRISE complement cardiovascular results from the EMPA-REG OUTCOME trial. We are committed to further understanding whether Jardiance may have potential in this area and look forward to sharing the future results of the EMPRISE study." As part of their efforts to help address unmet needs, Boehringer Ingelheim and Lilly have initiated two large clinical trial programs focused on improving outcomes and reducing morbidity and mortality for people with heart failure. EMPEROR HF comprises two Phase III outcome trials investigating Jardiance for the treatment of adults with chronic heart failure. The trials include not only adults with type 2 diabetes who have heart failure, but also people with heart failure who do not have diabetes. EMPERIAL comprises two Phase III studies evaluating the effect of Jardiance on exercise ability and heart failure symptoms in people with chronic heart failure with or without type 2 diabetes. EMPRISE was initiated in 2016 to complement the EMPA-REG OUTCOME trial results by providing data on the comparative effectiveness, safety, healthcare resource utilization and costs in routine clinical care compared with DPP-4 inhibitors in people with type 2 diabetes with and without cardiovascular disease. The study will assess the first five years of Jardiance use in the U.S. from 2014 to 2019. Over 200,000 people with type 2 diabetes from two commercial U.S. healthcare providers and Medicare are projected to be included by study completion. The EMPRISE study was initiated, and is being led, by academic partners from the Division of Pharmacoepidemiology at Brigham and Women's Hospital and Harvard Medical School. The study is part of an academic collaboration between Brigham and Women's Hospital and Boehringer Ingelheim. Heart failure is a progressive, debilitating and potentially fatal condition that occurs when the heart cannot pump enough blood around the body. Symptoms of heart failure include difficulty breathing, swelling – most commonly in feet, legs and ankles – and fatigue, among others. Heart failure is a prevalent disease; 26 million people around the world have chronic heart failure. There is a high unmet need in the treatment of heart failure, as approximately 50 percent of people diagnosed with heart failure will die within five years. Additionally, heart failure represents the most common cause of hospitalization among individuals aged 65 years and over in the United States and Europe. Heart failure is highly prevalent in people with diabetes, but approximately half of all people with heart failure do not have diabetes. Approximately 30 million Americans and an estimated 425 million people worldwide have diabetes, and nearly 24 percent of Americans with diabetes—or more than 7 million people—are undiagnosed. In the U.S., approximately nine percent of those aged 18 and older have diabetes. Type 2 diabetes is the most common type, accounting for an estimated 90 to 95 percent of all diagnosed adult diabetes cases in the U.S. Diabetes is a chronic condition that occurs when the body does not properly produce or use the hormone insulin. Due to the complications associated with diabetes, such as high blood sugar, high blood pressure and obesity, cardiovascular disease is a major complication and the leading cause of death associated with diabetes. People with diabetes are up to four times more likely to develop cardiovascular disease than people without diabetes. Approximately 50 percent of deaths in people with type 2 diabetes worldwide and approximately two-thirds of deaths in people with type 2 diabetes in the U.S. are caused by cardiovascular disease. In the U.S., healthcare costs for managing cardiovascular conditions in patients with diabetes totaled more than $23 billion in 2012. Having a history of diabetes at age 60 can shorten a person's life span by as much as six years compared with someone without diabetes. And having both diabetes and a history of heart attack or stroke by age 60 can shorten a person's life span by as much as 12 years compared with someone without these conditions. This press release contains forward-looking statements (as that term is defined in the Private Securities Litigation Reform Act of 1995) about Jardiance (empagliflozin), and reflects Lilly's current belief. However, as with any pharmaceutical product, there are substantial risks and uncertainties in the process of development and commercialization. Among other things, there can be no guarantee that future study results will be consistent with the results to date or that Jardiance will receive additional regulatory approvals. For further discussion of these and other risks and uncertainties, see Lilly's most recent Form 10-K and Form 10-Q filings with the United States Securities and Exchange Commission. Except as required by law, Lilly undertakes no duty to update forward-looking statements to reflect events after the date of this release.